Thanks to our ’15 Barn Dance Supporters! 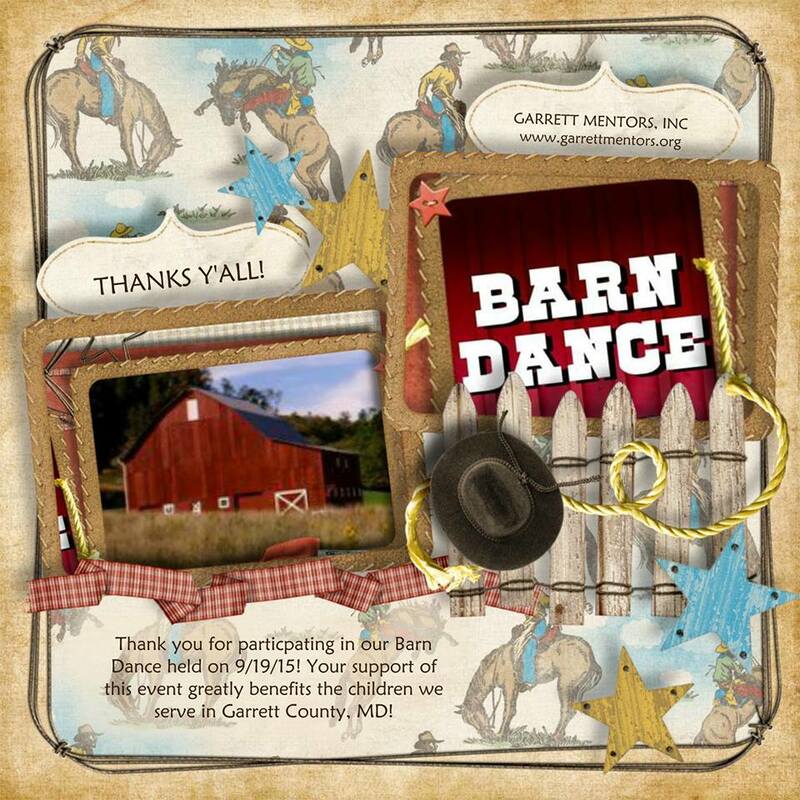 | Garrett Mentors, Inc.
Garrett Mentors, Inc. > News > Thanks to our ’15 Barn Dance Supporters! Thanks so much to all who attended, donated or participated in some way in our 7th annual Barn Dance and Silent Auction Fundraiser at Ridgeview Valley Barn on Saturday 9/19! Your support of this event greatly and directly benefits the PreK – grade 6 children we serve through our mentoring program in Garrett County! With gratitude from our Board of Directors: President Kathy Coble; Secretary Maureen Myers; Treasurer Annette Chapman; Andrea Sweitzer Turner; Edward Spurr; Bonnie Swyter; Don Coble; Gloria MacGowan; Krystal Lewis; Pam Scott; Frank Shap; Connie Kamp; Steve Wilson and Director Laura Fike. Dedicated in memory of former President, Board Member, Mentor and friend, Rick Schiff.